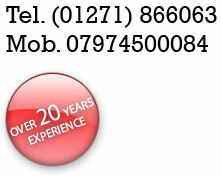 Dean Evans - Plumbing & Heating endeavour to keep the information contained in this website up to date and correct. The website is for general information purposes only and the content is not to be relied upon by the client. Any such reliance is to be accepted by Dean Evans - Plumbing & Heating to be at the clients own risk. Dean Evans - Plumbing & Heating website may contain links to other sites. No responsibility can be presumed for the content of such websites or any policies they adopt in the operation of their websites. Dean Evans - Plumbing & Heating are unable to scrutinize the content of other pages to which we have provided a link and can not accept responsibility for loss or damage incurred at all, arising from the viewing of our web pages. Every effort is made to keep the website running smoothly however because of technical problems that may arise beyond the control of Dean Evans - Plumbing & Heating no responsibility can be accepted for the website being temporarily unavailable.